The Oracles of the Bush in Tenterfield, has invited Bec Hance back in 2017. Last time that Bec was there she had a fantastic time as the picture below shows (2015). 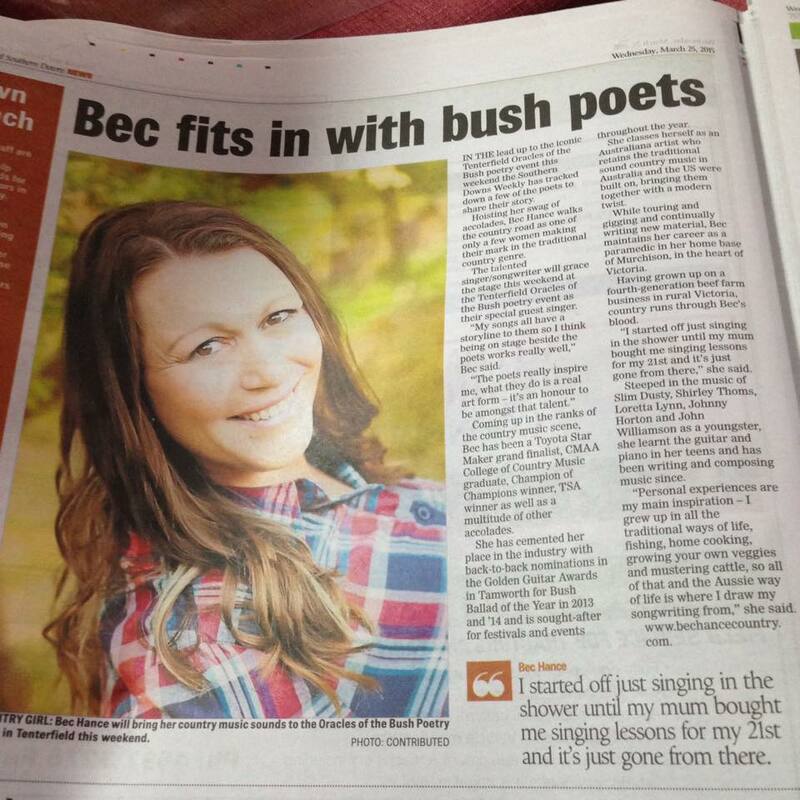 It will be full of laughs with Bec's quirkiness and "Bush Poet and Funny Man" Marco Gliori and his team of legendary Bush Poet! First time Ever for me! 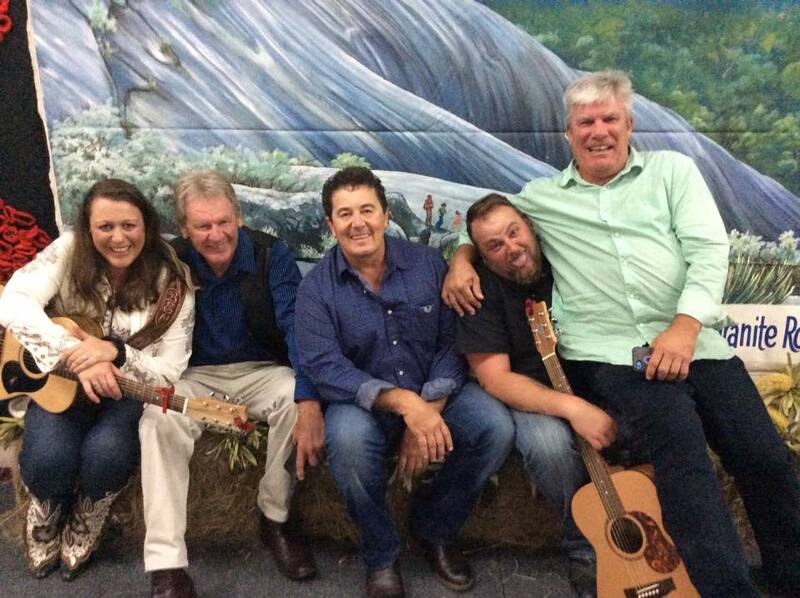 My song "Brand New Daddy" has jumped to position 25 on the top 30 Australian Country Music Charts Woohoo!